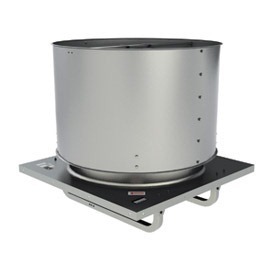 The LUD Low Profile Upblast Roof Ventilator provides cost effective, general purpose ventilation of commercial buildings, with a pleasing low profile design that minimizes extension above the roof line. This unit is designed to exhaust large volumes of air at low to medium static pressures. Typical applications for upblast propeller roof ventilators include warehouses, shopping centers and manufacturing facilities.